Membership has its privileges. I know that phrase is most commonly associated with American Express, but every time I open up my Disney Files Magazine this is what comes to mind. It just feels like there is a wealth of benefits to being part of the Disney Vacation Club (DVC). 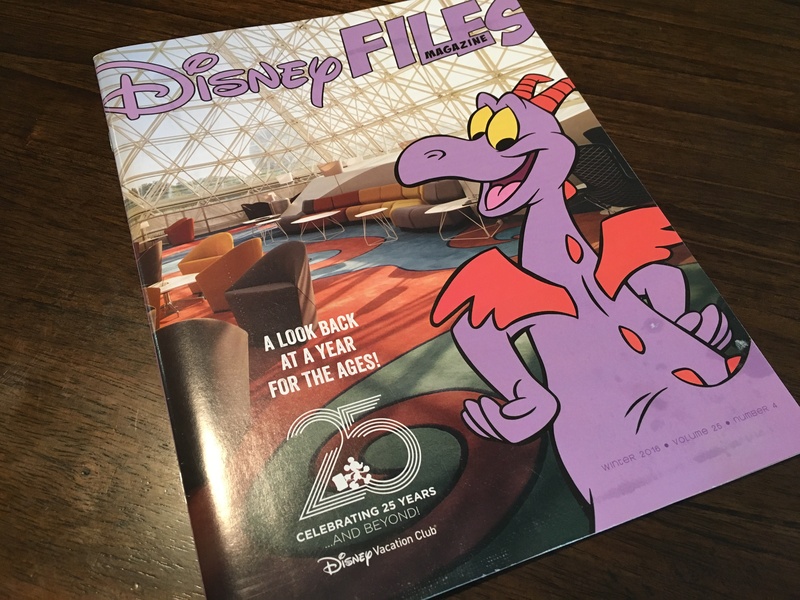 Disney Files is the official publication of DVC and it reaches my doorstep on a quarterly basis. Packed inside are articles about every aspect of the Disney company from movies to menu items, but mostly it focuses on the theme parks and the special benefits that come with being a part of the Disney Vacation Club. 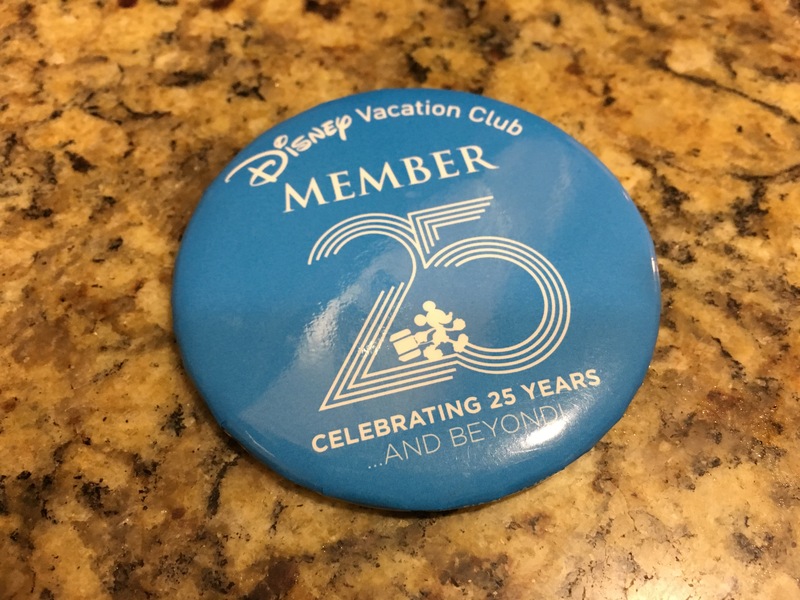 Sometimes the perks are tiny, designed to make you feel good like the 500,000 25th anniversary buttons they gave away last year or the way they say “Welcome home!” each and every time you identify yourself as a DVC member. Sometimes the perks are financial like the many discounts to different shops and restaurants on Disney property including Morimoto Asia and Raglan Road at Disney Springs. Or save on special tours like Walk In Walt’s Disneyland Footsteps or The UnDISCOVERed Future World at Epcot. Sometimes DVC offers special events only for members like the already sold out 2017 DVC Member Disney Cruise (which I haven’t been on but hear is tremendous). And of course the EXCLUSIVE DVC merchandise available only to members including PANDORA charms, Alex and Ani bangles, and a Tommy Bahama shirt are just icing on the cake. But here are a few FREE theme park perks I thought were really cool. Neighborhood Power Walk in Disney California Adventure – Want to start the morning with a nice brisk walk through the park? You can by signing up for this FREE opportunity. Not only is the park beautiful in the early morning, but it’s a completely different atmosphere when it’s empty and it’s just you and your fellow walkers. At the end, you also get FREE Jamba Juice! This event happens every Thursday at 7am, but you must sign up in advance! If walking isn’t your thing, they also offer a Fitness In The Park experience where you do stretches and Pilates on Tuesdays same time. At the end of that experience you get Jamba Juice AND a Membership Magic towel. 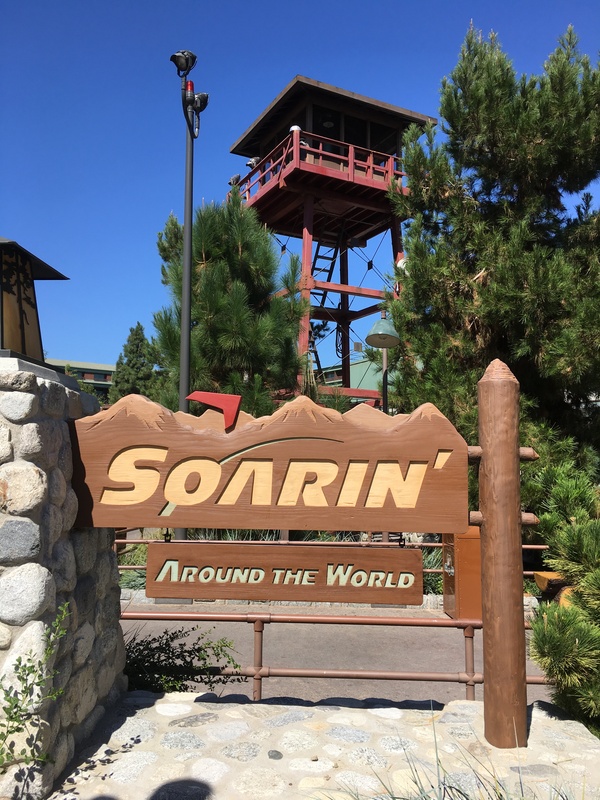 A FREE tour of Soarin’ Around the World? And you get to go on the attraction without waiting in line? Sign me up! Member Tour of Soarin’ Around the World – Available on both coasts, this Wednesday tour happens at 10am at DCA and 8am at Epcot. Going on the tour gives you FREE insight into one of the most popular attractions in the Disney theme parks (admission to the park itself is up to you, but the tour is free). You get to understand more about the attraction itself AND get to ride on it without having to wait in the really long line. For those who are fans of the attraction, just getting to ride on it is probably worth it, but learning about the attraction itself is also very cool. Moonlight Magic – Wow. 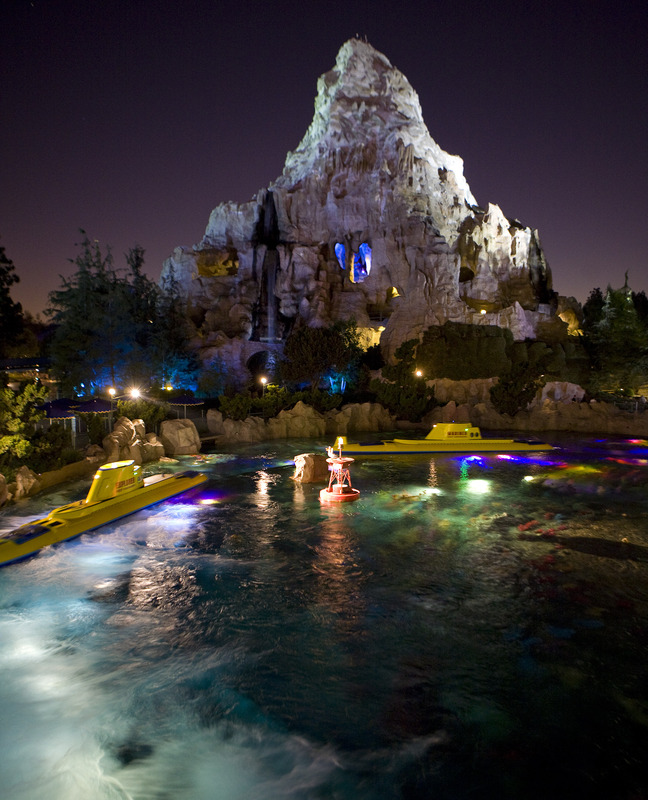 FREE admission for an after-hours party at the Disney theme parks. Taking place throughout the year, you can enter Animal Kingdom AT NIGHT, Epcot, Typhoon Lagoon, Magic Kingdom (sold out), and Disneyland FOR FREE after normal operating hours. The Magic Kingdom Moonlight Magic event is from 10pm to 1am (although you can get in early at 8pm if you already have admission to the park). FREE parking is also included along with select attractions, character appearances, and other fun stuff. This has got to be the topping on the cake of free Member Magic. If you’re a DVC member and hadn’t heard about this stuff yet, take a look for yourself. If you’re not a DVC member, maybe you should look into it. It’s not cheap, but it’s definitely worth it. Thanks for the great DVC suggestions! I really enjoy your reviews and suggestions!!! My husband and I went to the Animal Kingdom Park on Friday, Feb 10th to end our Disney World week and upon entering the park, we were told that since we were DVC members there was something special for us (I seriously thought she meant maybe we get a sticker or something). So we went over and they had wristbands to watch a preview of the Rivers of Light show! We were so exciting since we thought we had missed it by a week since it was just announced that it would start Feb 18th or something like that. THAT was an awesome DVC member perk! That is a cool perk! Can’t wait to encounter this myself. Hope they are still doing this when we go in June.